Enjoy the top 4 famous quotes, sayings and quotations by Bernard Schaffer. 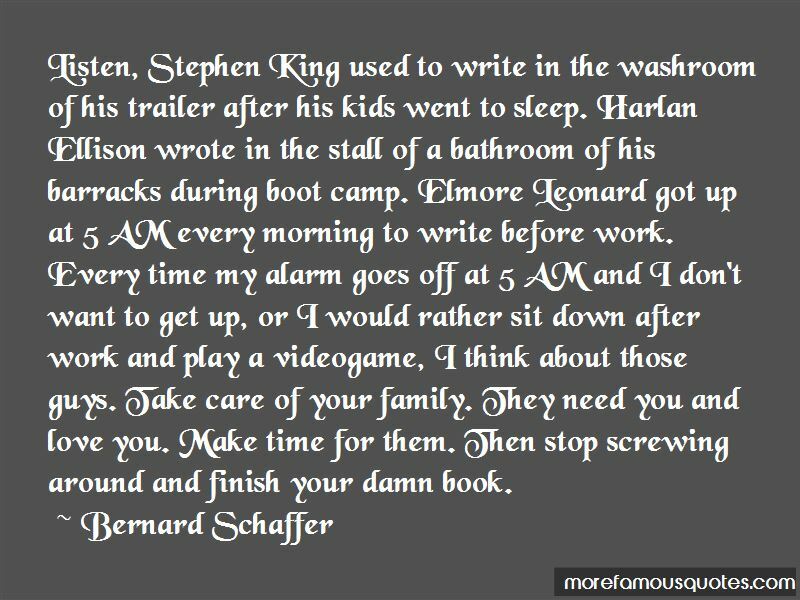 Listen, Stephen King used to write in the washroom of his trailer after his kids went to sleep. Harlan Ellison wrote in the stall of a bathroom of his barracks during boot camp. Elmore Leonard got up at 5 AM every morning to write before work. Every time my alarm goes off at 5 AM and I don't want to get up, or I would rather sit down after work and play a videogame, I think about those guys. Take care of your family. They need you and love you. Make time for them. Then stop screwing around and finish your damn book. “You cannot stand for civil rights + not support gay marriage. 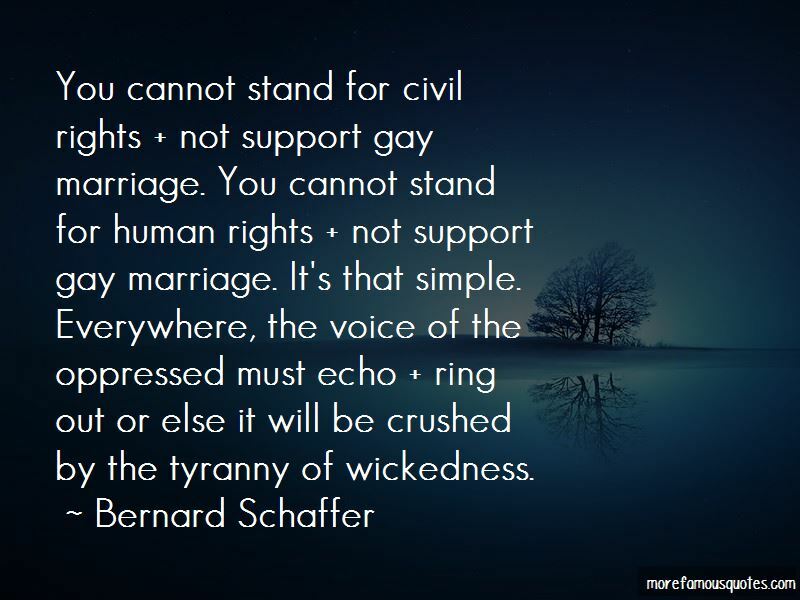 You cannot stand for human rights + not support gay marriage. It's that simple. 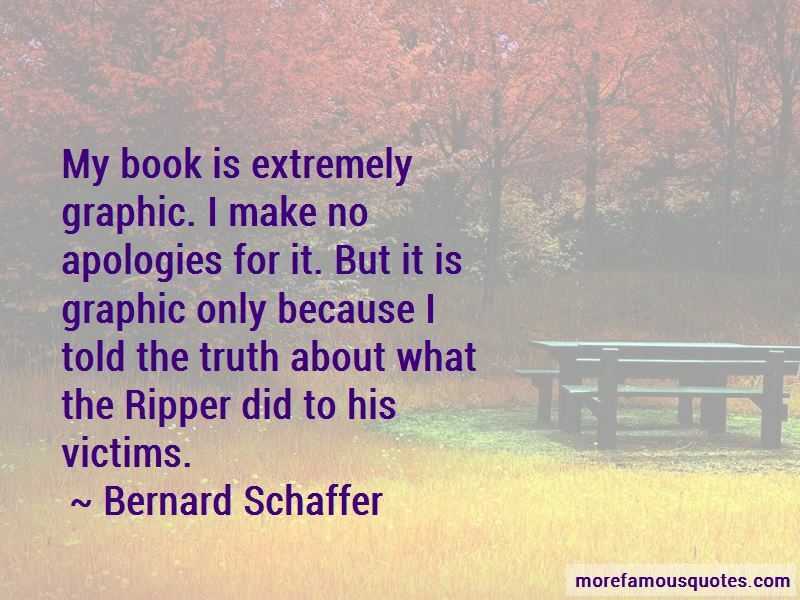 Want to see more pictures of Bernard Schaffer quotes? 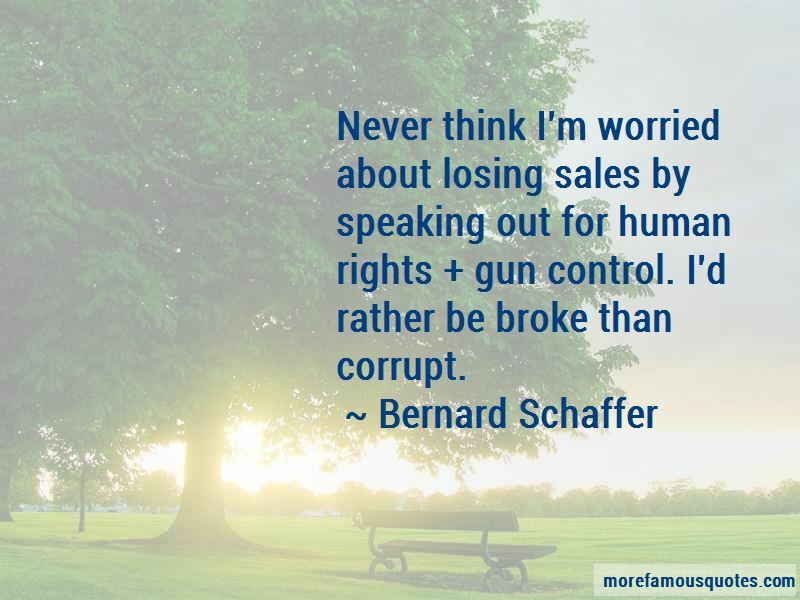 Click on image of Bernard Schaffer quotes to view full size.